If a candidate for dentures only has a few worn or compromised remaining teeth on an arch, we may recommend extraction so a full denture can be placed. Patients, often younger children, may have impacted teeth positioned to emerge out of alignment or teeth that block others from erupting. Whatever brings you to us here in West Monroe for an extraction, expect to have a thorough examination, including X-rays, before we determine a course of action. You may feel apprehensive, so we dedicate ourselves to answering all of your questions before we proceed. Plan to discuss with us your medical history, any past extractions and associated problems with excessive bleeding, and any medications you take. In all but simple cases where the tooth is visible above the gum line, we may refer you to an oral surgeon. The day of your extraction, we anesthetize the area and carefully rock the tooth back and forth to expand the socket and loosen the ligaments. 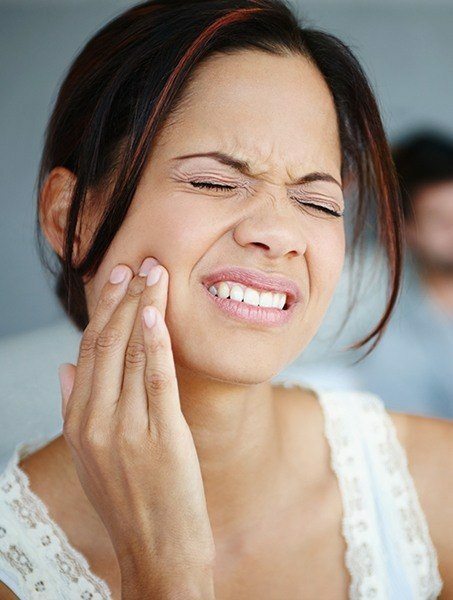 You will feel some pressure, but your mouth should feel sufficiently “numb” when faced with any real discomfort. For post-extraction care and to protect the blood clot that will form in the empty tooth socket, we advise patients to avoid rinsing, spitting, sucking through straws, hot foods, cigarettes, or alcohol during the first 24 hours. If alveolar osteitis (dry socket) occurs, we will recommend an immediate course of action. You should also adhere to a liquid diet during the first day and use clean gauze, or even tea bags, to pack the wound. Remember, a small amount of bleeding is normal and ice and acetaminophen (Tylenol) will help with the swelling and discomfort. After 24 hours, you’ll resume your normal oral hygiene routine, taking care to avoid the socket and the adjacent teeth. Within two weeks, you can expect to feel significantly better.